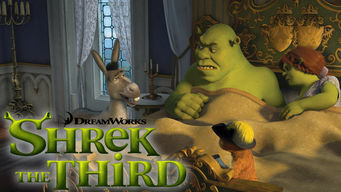 How to watch Shrek the Third (2007) on Netflix Argentina! Yes, Shrek the Third is now available on Argentine Netflix. It arrived for online streaming on October 7, 2017. We'll keep checking Netflix Argentina for Shrek the Third, and this page will be updated with any changes. Life in the swamp seems better than ever for Shrek and Fiona, until King Harold suddenly falls ill and the adorable ogre must find an heir. Shrek searches for an heir to the Far Far Away throne ... and back at home, there's a little Shrek on the way!